Progesterone is a natural hormone that works to control uterine lining thickness within a woman’s body. When one becomes pregnant, this hormone naturally increases to accommodate your growing child. 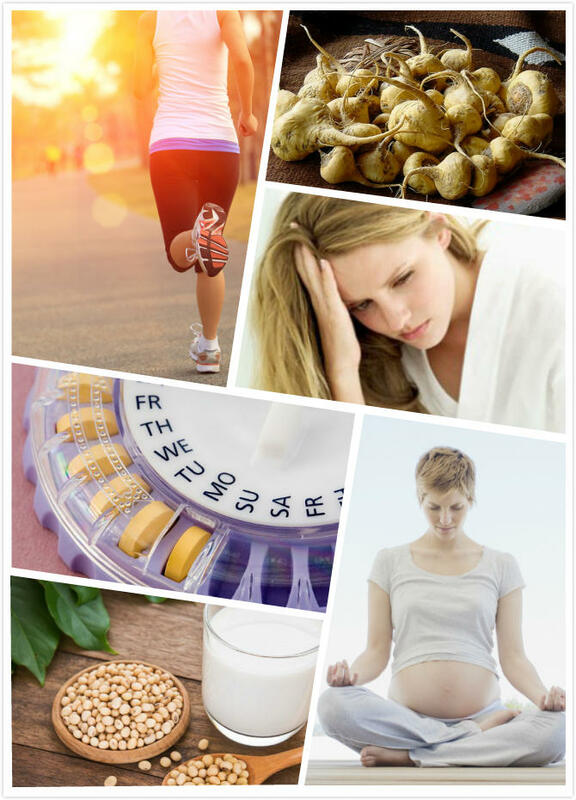 There are occasions, however, where high progesterone levels can be caused by other instances, such as a lack of exercise or consuming an unhealthy diet. High levels of progesterone can lead to a series of unwanted side-effects. This article will detail the symptoms, diagnosis and remedies to help treat the condition. Basal body temperature, or BBT charting, is the process of recording your body temperature when being at rest every day to get a clear grasp on your menstrual cycle. A steady yet slight increase in temperature should be noticed after ovulation. If your temperature is irregular or consistently high, then you may have high levels of progesterone. If your time of ovulation is less than eleven days preceding your period, this may be an indication of a defect pertaining to the luteal phase. Ovulation can be detected via the use of an ovulation detector strip, or BBT charting. It has been suggested that hormonal tests should be done via testing saliva, as opposed to blood which most doctors test. A saliva hormonal test can be done at home and then sent to a lab for analysis. After your saliva is analyzed, hormonal levels can be ascertained, helping to deduct whether you have an imbalance, be it too low or too high progesterone levels. Although it has been suggested that saliva hormonal testing is perhaps better than blood hormonal testing, it would be wise to work with your doctor so they can explain your results and offer you guidance on further courses of action. This is true even if they choose to administer a blood hormonal test. They will also carry out other hormonal tests which can help you to ascertain vital information about your personal hormonal profile. If you have any symptoms pertaining to a hormonal imbalance, it may be wise to test your progesterone levels. The best time to carry out this test is either seven days after ovulation has occurred or seven days before period is expected. At these times, you are most likely to detect the peak of progesterone levels. It should be noted that this day can vary case-by-case, depending on your menstrual cycle length. Often the first step to maintaining balance of hormones is to address one’s lifestyle and make appropriate changes. Exercising regularly and eating healthily, along with stress-reducing practices such as meditation and yoga, can help to not only reduce symptoms associated with high progesterone levels, but also improve overall health and well-being. Some studies suggest that symptoms pertaining to the imbalance of progesterone can be lessened by eating foods that work to promote a stable level of estrogen within the body, such as soy, cherries, potatoes, wheat, rice, alfalfa, apples and yams. Some women may wish to try herbal remedies to combat the symptoms relating to high levels of progesterone. The two types of herbs that will likely prove most effective are phytoestrogenic herbs and non-estrogenic herbs. Phytoestrogenic herbs, such as black cohosh, can work to introduce plant-based estrogenic compounds into the body, helping to eradicate the hormonal imbalance. Non-estrogenic herbs, such as Macafem, are the opposite of the aforementioned type of herb. These types of herbs work to nourish the endocrine glands which are responsible for the production of hormones. These herbs are considered to be the least bothersome and the safest way to treat progesterone imbalances. This form of therapy involves the use of medication to address the imbalance of progesterone. It should be noted that whilst this is an almost guaranteed way of addressing the issue, there are many negative effects and the therapy may increase the risk of blood clot, breast cancer, stroke and heart disease. High progesterone levels are to be expected for pregnant women. As the fetus grows, levels of progesterone also increase. This increase in progesterone can leave you feeling exhausted. It can also slow the rate in which food passes through your body, possibly causing constipation. During pregnancy, if one’s progesterone levels were particularly high, this could indicate that you are having twins or triplets, etc. Increased progesterone levels may also indicate an underlying health problem, such as ovarian cysts, non-viable or molar pregnancies, and on some occasions, ovarian cancer. What Are Normal Progesterone Levels in Pregnancy? During pregnancy, the level of progesterone will likely continually fluctuate. Generally, progesterone levels can range from 1 to 28 ng/mL. As your child grows, as does this number, climbing to around 9 to 47 ng/mL at around 9 weeks into pregnancy. As you reach the 12 th week of pregnancy, the average progesterone levels will have risen to around 17 to 146 ng/mL. At the 28 th week of pregnancy until your child’s birth, progesterone levels average at around 55 to 200 ng/mL.